It is that time of year when the SWFMIA have their product show at the Grey Hound Race Track parking lot on Bonita Road. This is an exciting event that 1st Mate Vicki and I are always excited to participate. It starts on Thursday and ends Sunday (February 28-March 3rd). Look for us at the Coastal Angler Magazine/Fish Face Charters booths. I will also be doing daily fishing seminars at the Frank’s Fishing Village. 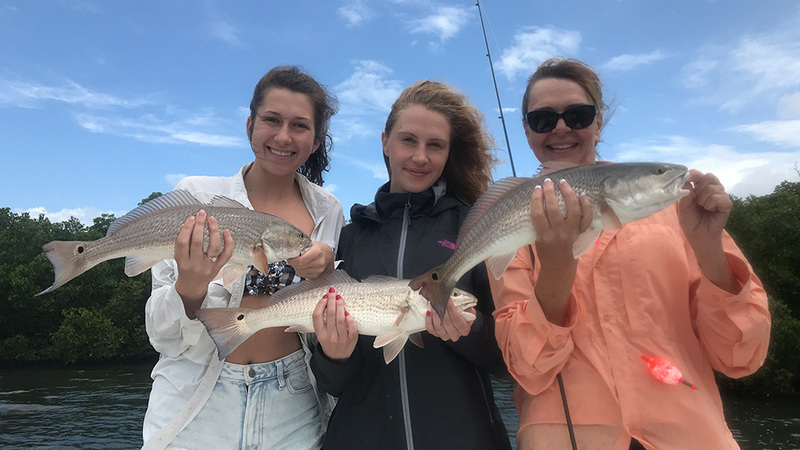 These seminars are designed to assist fishermen and ladies looking to improve their level of experience and angling success through discussion and demonstrations. Vicki and I are encouraging anyone interested to stop by our booth and check the seminar schedule. 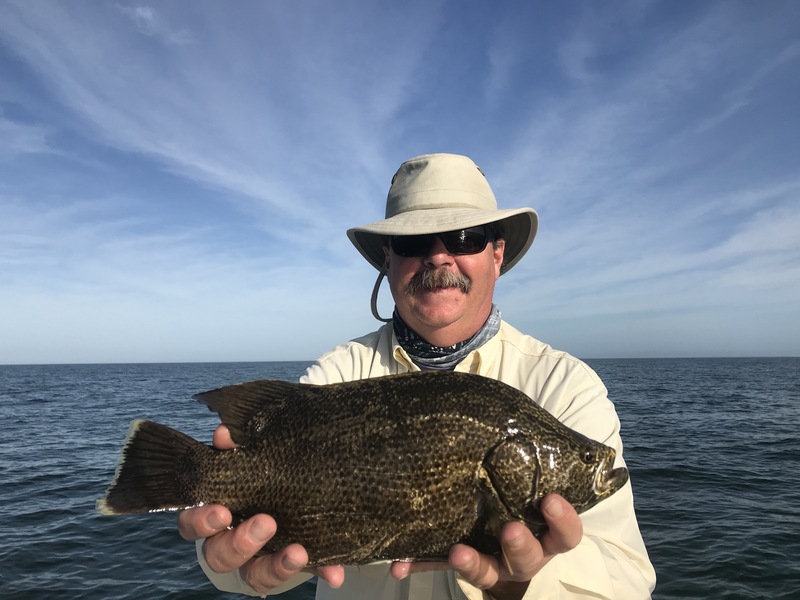 Early December fishing proved to many to be a great time to check and angler’s ability when targeting a fish-of-a-lifetime. Pictured here is my good friend John Hennessy of Indiana/Ft. 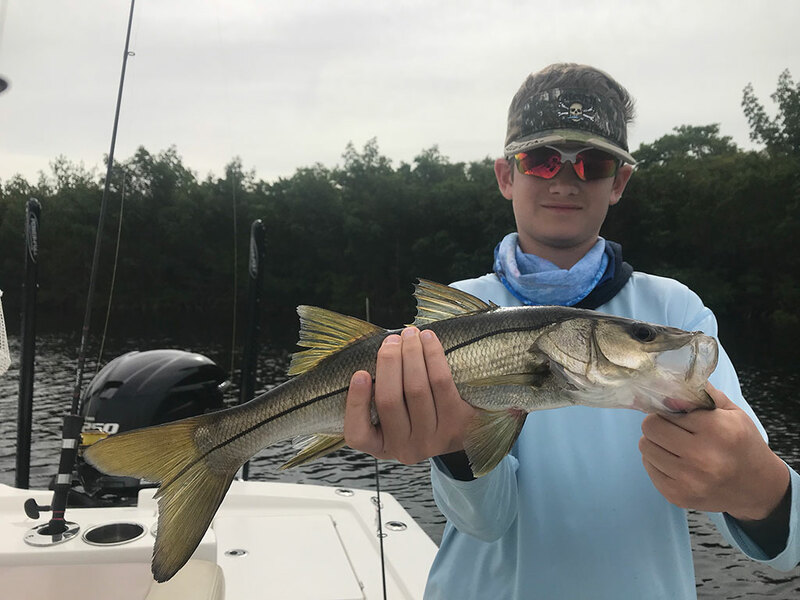 Myers holding a 33″ Snook he landed. We used Pinfish in one of the many canals we targeted upon my returning from Breckenridge, Colorado to float fish for Rainbow and Brown Trout on the Colorado River. John was calm and collected as we waited for this brute to surface. Like many big Snook, this one stayed down like a big Jack Crevalle and tested the knot, line strength, rod and reel in hopes of failure. Good job, John! I consider September a transitional month, especially after Labor Day Week when things normally slow down. Children and college students all returning back to school and non-vacation routines. 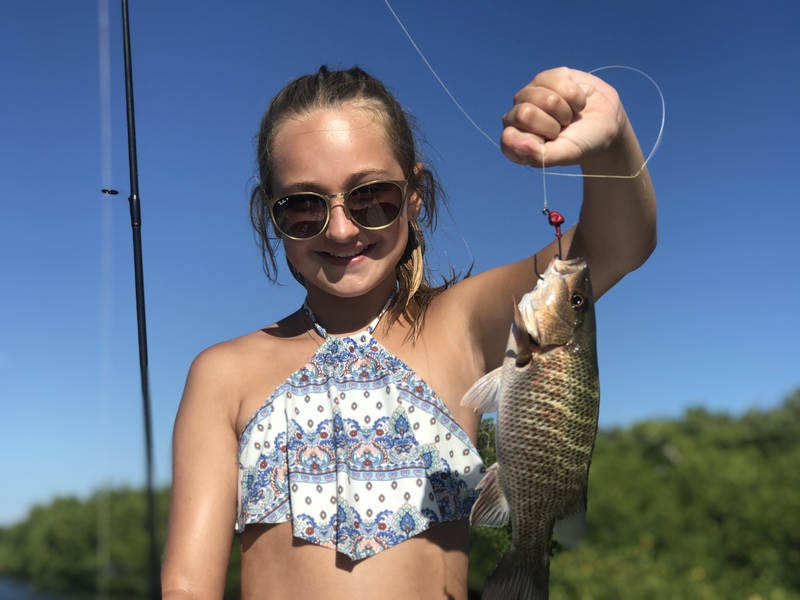 Some good news for those living here or visiting in September is that water traffic and fishing pressure is less than most other months of the tourist season. I have noticed improvement in the water quality for most all areas ranging from Ft. Myers Beach to and including Charlotte Harbor. 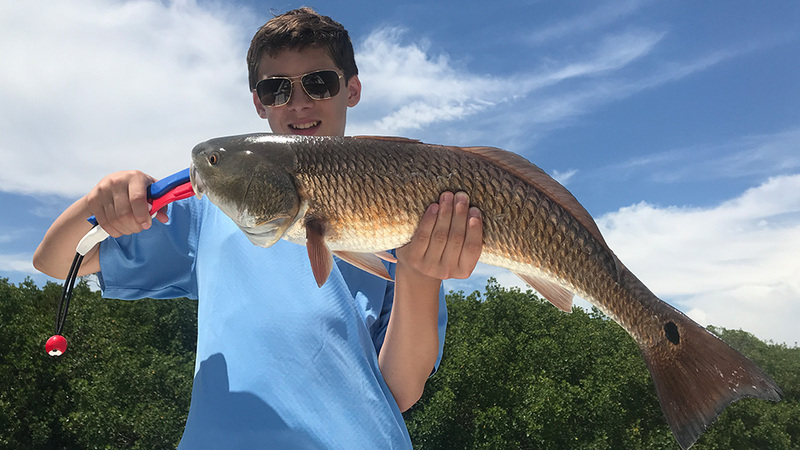 I applaud the temporary restrictions on the harvesting of Snook and Redfish until the FWC can assess any level of impact from Red Tide and Algae Bloom on fish populations. 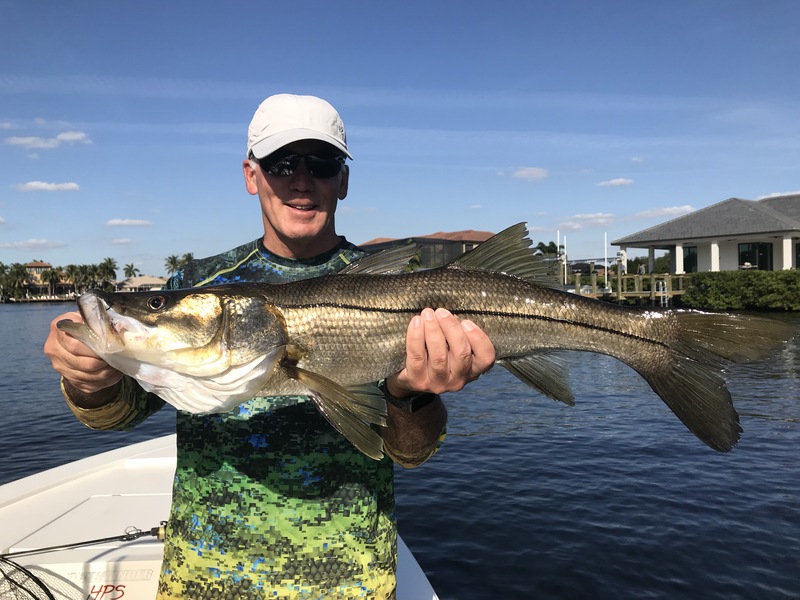 This does not mean that we cannot catch Snook or Redfish, we just need to release them unharmed. After all, most anglers enjoy the time on the water catching fish, as much as, if not more, than eating them. Fishing was tough going during most of August. Fortunately, however, I was able to find areas not affected by the red ride and algae blooms, or at least not as affected. 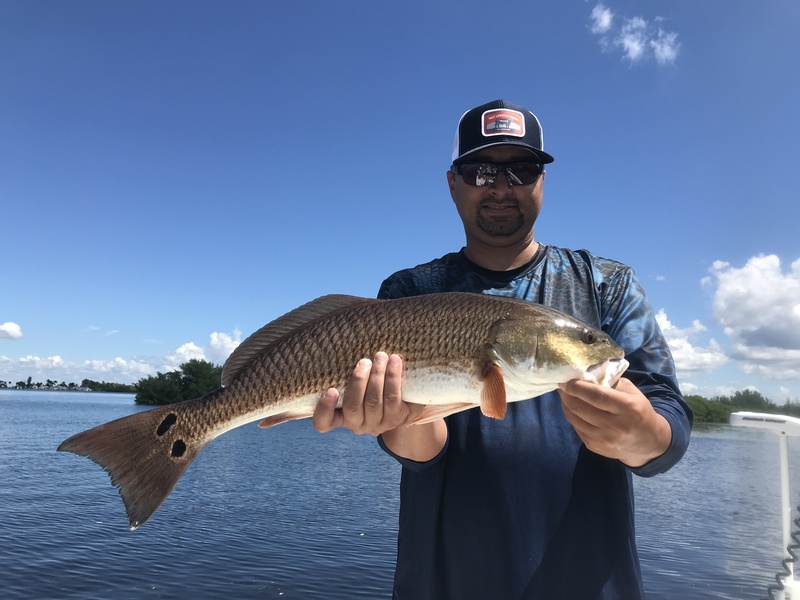 Most of the areas that I fished during the month of August included the northern end of Matlacha Pass, Cape Haze (Charlotte Harbor) and mangrove islands along the western side of Pine Island and as far off the Inter-Coastal as possible. 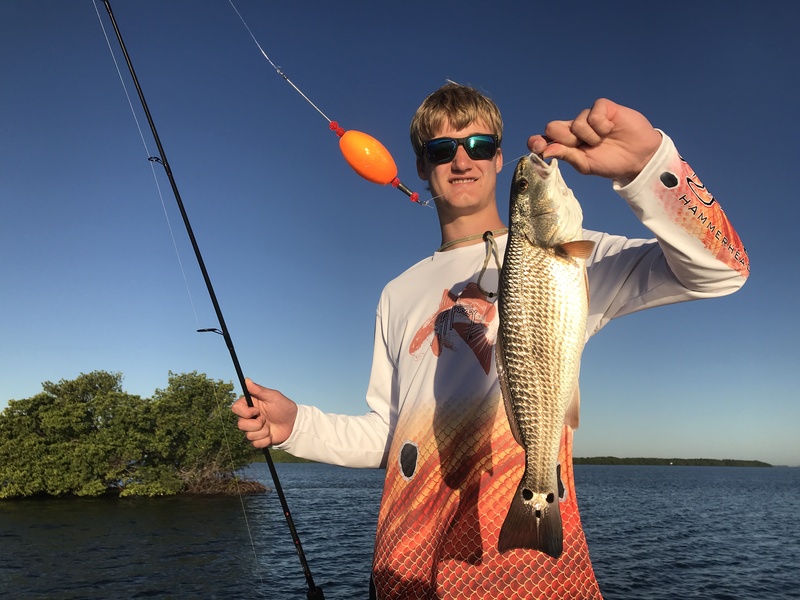 Early in the month, Snook and Redfish proved to be the more reliable targets. They were holding in their normal locations prior to red ride and negative impacts from the algae blooms. 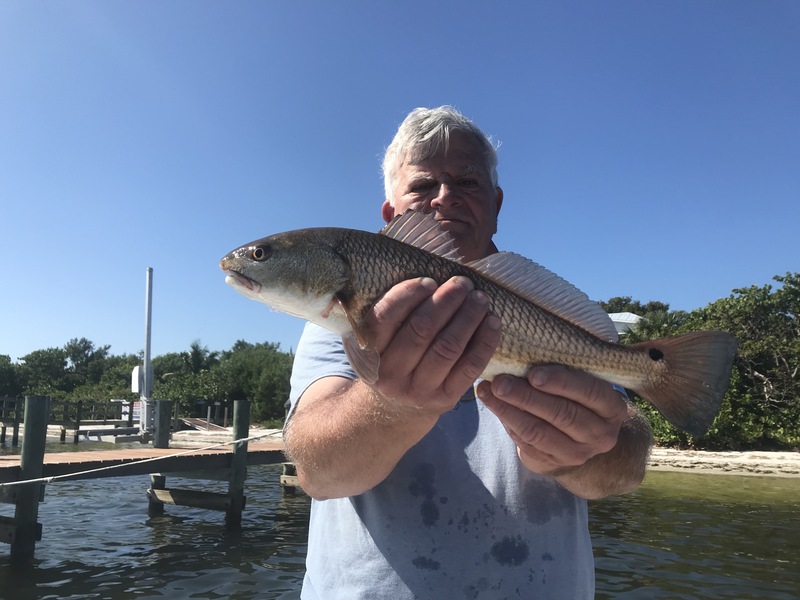 Regardless of the negative publicity about the ongoing saga of excessive water releases from Lake O and red tide reports, my charters have been very successful recently. The only fish that have been hard to locate over the past number of days are Seatrout. I believe the heat and 90° water temps have moved the fish from their traditional haunts to deeper water. Nonetheless, I am finding them. 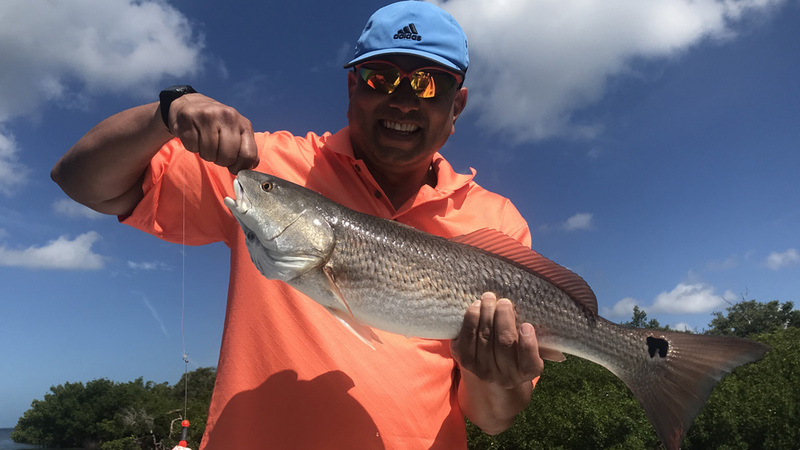 Other species such as Spanish Mackerel and Redfish are very active.